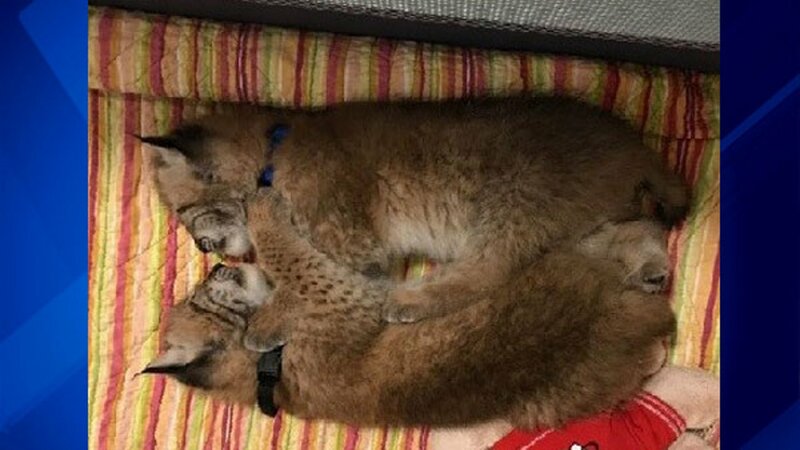 DELAVAN, Wis. -- Prosecutors say a man suspected in the theft of two Siberian lynx cubs from a petting zoo in southeastern Wisconsin said he was quitting his zoo job and had tried to give the cubs to someone else. Town of Delavan Police Chief Raymond Clark says the 58-year-old Delavan man who was arrested Thursday. But the prosecutor's office says a criminal complaint has not been filed. Assistant Walworth County District Attorney Matthew Leusink told The Janesville Gazette (http://bit.ly/2uTIzoJ ) the man recently told Animal Gardens he was quitting his job and moving back to West Virginia. Leusink said a woman returned the 7-week-old cats to Animal Gardens on Wednesday after seeing in the news they had been stolen. The woman said the suspect had offered her the cats if she wanted them. The suspect was released on a $10,000 signature bond Friday.